Our next film show to raise funds for the Shed by courtesy of Pinewood Studios will be on Thursday 8 November at 7.30pm (doors open 6.45) at Pinewood. 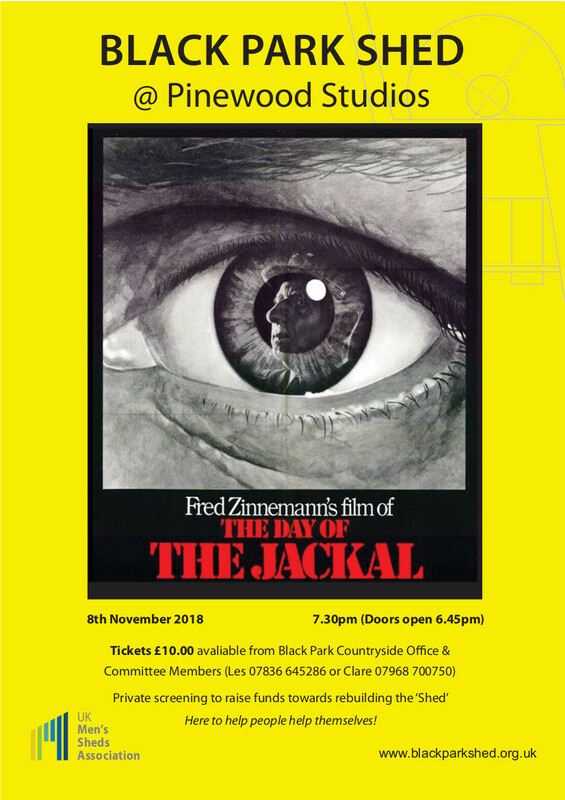 The film is the award winning The Day of the Jackal directed by Fred Zinnemann and starring Edward Fox. Tickets £10.00 avaliable from Black Park Countryside Office & Committee Members (Les 07836 645286 or Clare 07968 700750).